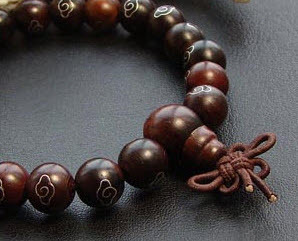 The Chinese Endless Knot means health, safety and security, and good luck in life and career. 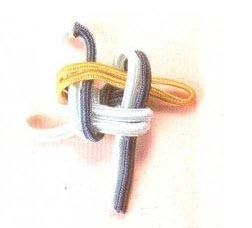 People like to make this knot as a phone pendant, a bracelet knot, a tibetan malas knot, and as a bead bracelet knot. 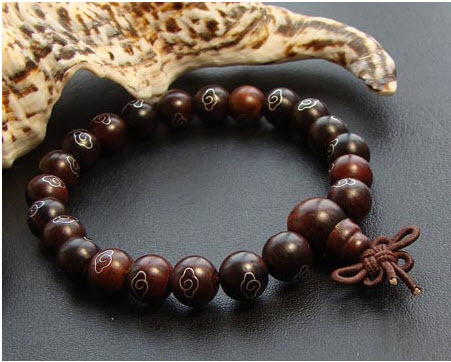 Many mala bead bracelets and 108 bead malas are finished with this decorative and beautiful knot. 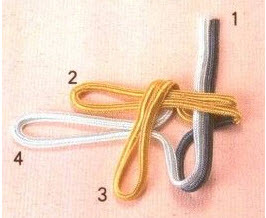 Note: The visual instructions below show a cord with different colors so you can see how to make the knot. 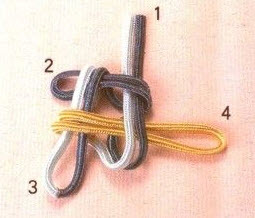 You only need one strand to make the knot! 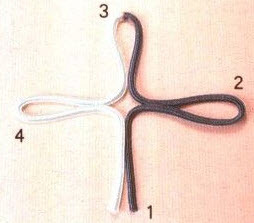 Fold up the two ends of the cord up and over cord loop number 2 as shown in the diagram below. Take note that you have now made a NEW loop at the bottom and there is no number on it. No number, but that doesn't mean it won't become important later on. So take note in the back of your mind. So far so good! 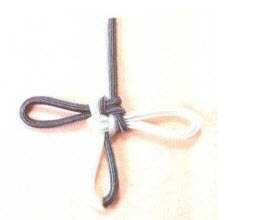 Next, fold the cord loop on the right (cord loop number 2) OVER cord loop number 3 at the top, then fold that top loop (number 3) DOWN and OVER both cord loop number and cord loop number 4 on the left of your "cross". 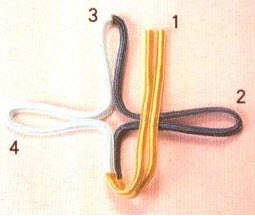 Take cross loop number on the left and fold it DOWN and OVER loop number 3. Remember the unnumbered loop I told you to take note of in step 2? Here's where that loop becomes important. Pass loop number 4 THROUGH that loop made with the cord ends . Tighten everything up as shown below. You aren't quite done yet, so don't think you are finished. At this point your loop will fall apart easily if you don't follow step 6. This step repeats step 1 to step 5 and firms up the knot. Arm 1 goes over arm 2, arm 2 over arm 3, arm 4 over arm 4, and arm 4 goes through the loop made by arm 1. Once you complete this step, make some adjustments and tighten, there you have an endless knot!